We have a very special treat for you guys. 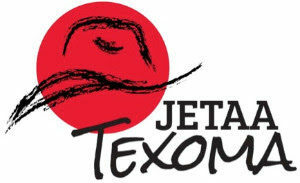 Mrs. LaVerl Daily of the Tachibana School, whom some of you may remember from our recent event, has invited all JETAA members to be her guests at a demonstration and luncheon to celebrate the 45th Anniversary of the Ikenobo Ikebana Society of Texas. The 45th Headmaster of this international school of ikebana, Sen’ei Ikenobo, will be visiting all the way from Kyoto for this festive occasion to demonstrate this exquisite traditional art form. Mrs. Daily has been generous enough to invite as many as are available to come. However, we need a headcount to give the hotel for seating and food. Thus, if you would like to attend this event, please RSVP to me (denhli[at]gmail.com) with your name, a contact number, and the names of your guests by Wednesday, April 28. Again, you must RSVP to denhli[at]gmail.com for this event by April 28. This is a rare opportunity for all of us and not an event to be missed! We hope to see you there!